California Sound Collective is a completely new and innovative kind of musical organization. Read about our goals and mission. California Sound Collective is a new kind of musical organization whose mission is to provide unique ways for musicians at various levels to perform and enjoy both classical and non-classical music together, and to introduce the Collective’s music to a wider audience. The Collective is growing to become three performing groups: A self-governing orchestra of outstanding Bay Area professional musicians, an excellent semi-professional orchestra (also self- governing), and an amateur ensemble coached by professional musicians that comes together to rehearse, learn about, perform, and enjoy a variety of styles of music. The California Sound Collective will present all three ensembles in performance at an annual summer festival. The goal is to create new and important musical connections in communities throughout the San Francisco Bay Area. The Collective believes that with new ways to involve the community, music will become a vital part of everyday life for everyone. David Ramadanoff began his professional studies at the Cleveland Institute of Music and Temple University, and continued them as a doctoral candidate at the Juilliard School, where he also taught conducting. He studied conducting with Herbert Blomstedt, Otto Werner Mueller, Seiji Ozawa, Eugen Jochum, Leonard Bernstein, and Gunther Schuller. In 1975 Seiji Ozawa appointed Mr. Ramadanoff Assistant Conductor of the San Francisco Symphony. In 1977 Edo de Waart promoted him to Associate Conductor. During his six-year tenure with the San Francisco Symphony, he conducted numerous concerts and also worked with soloists including Isaac Stern, Garrick Ohlsson and Mischa Dichter. He was also Music Director of the Symphony’s educational and community concerts. In 1980 Mr. Ramadanoff won the Leopold Stokowski Conducting Award. He made his Carnegie Hall debut in 1982 with the American Symphony. He has also been a guest-conductor with the Kansas City Philharmonic, the North Carolina, the San Antonio and the Grand Rapids Symphonies. 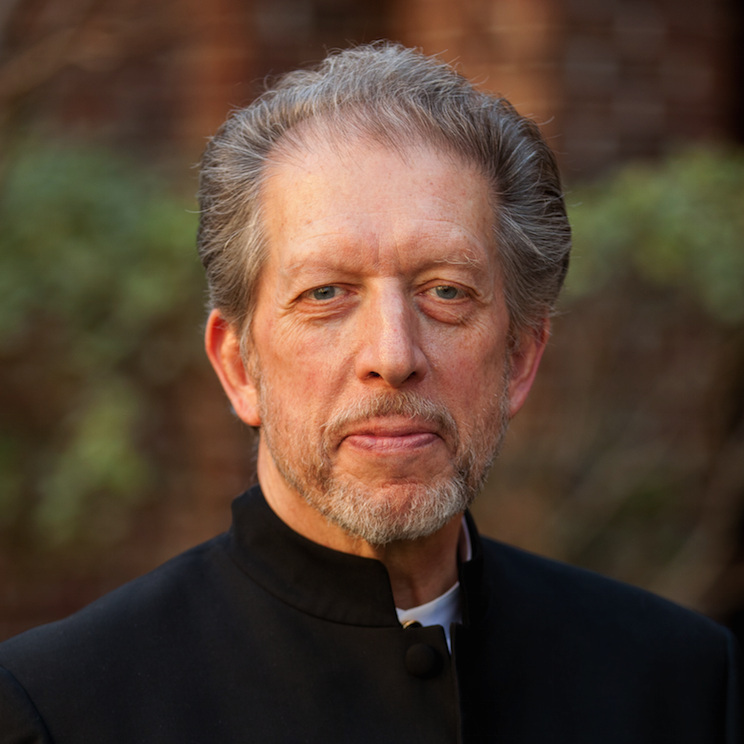 Appointed Music Director of the Master Sinfonia Chamber Orchestra in 1979 and the Vallejo Symphony Orchestra in 1983, Mr. Ramadanoff has concentrated most of his work in the Bay Area. From 1984-88 he was Director of Orchestral Activities at the San Francisco Conservatory, Principal Conductor of the Conservatory Orchestra, and the teacher of the graduate conducting students. In 1989 he was appointed Music Director and Conductor of the Young People's Symphony Orchestra in Berkeley. For thirty-two years he led the Vallejo Symphony, building it from a community ensemble to a professional orchestra of regional importance. Likewise, he has developed the Young People's Symphony Orchestra and the Master Sinfonia Chamber Orchestras, each of which has grown in membership and reputation. The Young People’s Symphony Orchestra has appeared four times at Carnegie Hall, and has given outstanding performances on tours to Alaska, China, New Zealand, and has appeared in festival concerts in Sydney, Australia, Prague and Vienna. In the summer of 2016 they toured in England with concerts in Coventry and London, and in 2017 they toured and performed in Seattle, Washington; and Victoria and Vancouver, British Columbia. In 2015, Mr. Ramadanoff was invited to become the conductor for the California Sound Collective, a newly formed self-governing orchestra made up of some of the Bay Area’s finest free-lance musicians. The orchestra gave its debut concert in August 2015, and a second concert in 2017. In 2018 the CSC’s program expanded to include two amateur orchestras, one for beginners and one for advanced amateurs. Mr. Ramadanoff directs the Advanced Amateur Orchestra and continues to conduct the California Sound Collective’s professional ensemble. Andrew Lewis is a dedicated lifelong performer and educator. He has worked as Timpanist/Percussionist with Orchestras all over the world, including 20 years with the San Francisco Symphony, and is presently Principal Timpanist with the Santa Rosa Symphony. He is also an accomplished drumset and hand percussion performer in Jazz, Rock, and World music, and is presently drummer for the SF Jazz Monday Night Big Band. He has been an educator since his first position as Percussion teacher at Cazadero Music Camp in 1975, through years for the San Francisco Conservatory Preparatory and Adult Extension, many years in South America, and has taught and lectured at many institutes of higher education including Juilliard and Peabody. He presently heads the music faculty at Lincoln High School in SF. Some other credits include inventing and patenting a new kind of metronome, and wrote the book "Rhythm- What It Is and How To Improve Your Sense Of It". Kyle Baldwin is an in-demand conductor and percussionist in the San Francisco Bay Area. Kyle holds various positions including Assistant Conductor for the Bay Area Rainbow Symphony, Director of the San Bruno School District’s after-school beginning band and orchestra music programs, and Percussion Instructor at Archbishop Riordan High School. In these positions, Kyle is dedicated to building community and promoting excellence. Kyle has acquired a diverse background in conducting that allows him to create exciting and meaningful musical experiences. 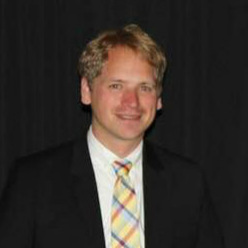 Kyle’s experience includes conducting symphony orchestras, wind ensembles, opera, chamber ensembles, and dance ensembles. Attending both international and domestic conducting seminars, Kyle has had the opportunity to work with leading conducting educators including Paul Vermel, Peter Jaffe, Maurice Peress, and Neil Thomson. In academic settings, Kyle studied conducting with Cyrus Ginwala, Wayne Gorder, Christopher James Lees, and Frank Wiley. Kyle strives to work with living composers and has worked with distinguished composers such as Libby Larsen, Samuel Jones, Victoria Bond, and Avner Dorman. Kyle conducted the music of Dennis Tobenski with Tobenski singing and played percussion in the West coast premiere of Tobenski’s piece Only Air. Kyle was instrumental in preparing the world premieres of Andrew Lippa’s I Am Harvey Milk and June Bonacich's Concerto for String Trio written for the Little Stars Trio. When not pouring over his musical work, Kyle enjoys the problem solving involved with computer programming. Kyle is always trying to expand his abilities and knowledge and is currently in pursuit of becoming a polyglot. Kyle currently lives in San Francisco with his beautiful Japanese Blue Swordtail guppies and nerite snail. If you have any questions about the organization or with our summer progam, please do not hesitate to reach out to us with the form below.